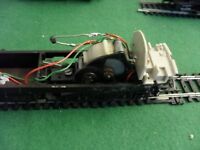 Hornby / Spares / Repairs. Class 43 D1738 Body. V.G.C. Détails sur Lima/ Spares / Repairs. Class 92 Running Chassis. V.G.C. Lima/ Spares / Repairs. Class 92 Running Chassis. V.G.C.